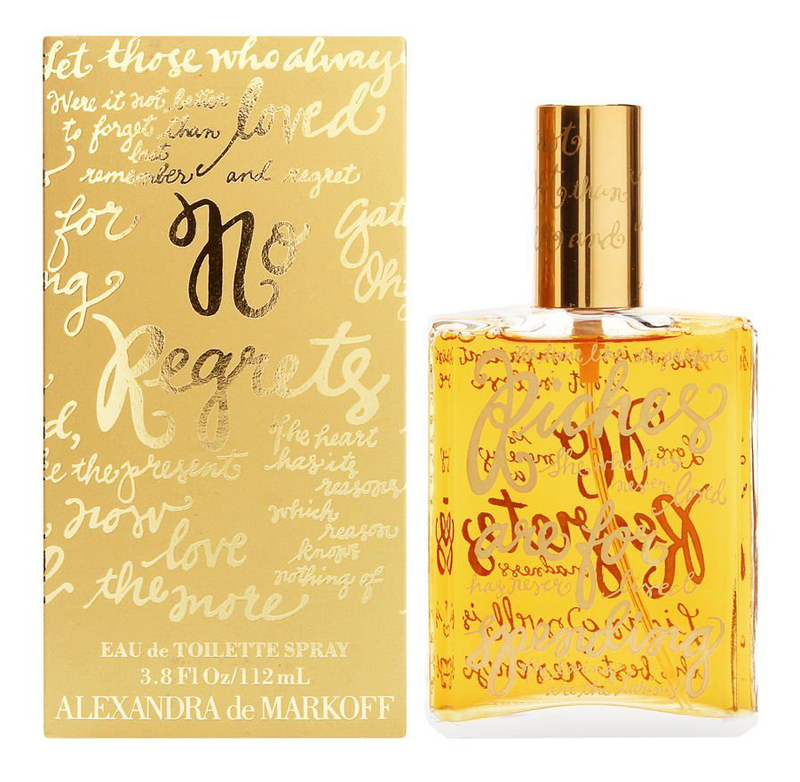 No Regrets (Eau de Toilette) is a perfume by Alexandra de Markoff / Alexa for women and was released in 1994. The scent is floral-spicy. The longevity is above-average. The production was apparently discontinued. 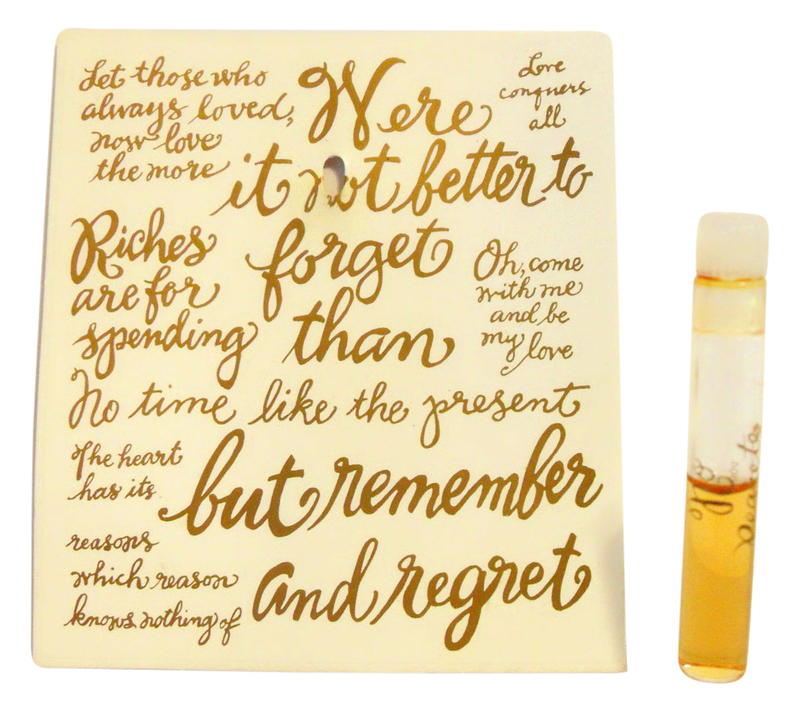 No Regrets is a strange bird for the ever-younger-skewing perfume world. A dense and liquor-like fruity chypre (that is, not a young smell), it seems aimed at a past-prime demographic: women who have been around the block a few times and "regret nothing," as the Piaf song goes. (The bottle is covered with messages of female empowerment.) 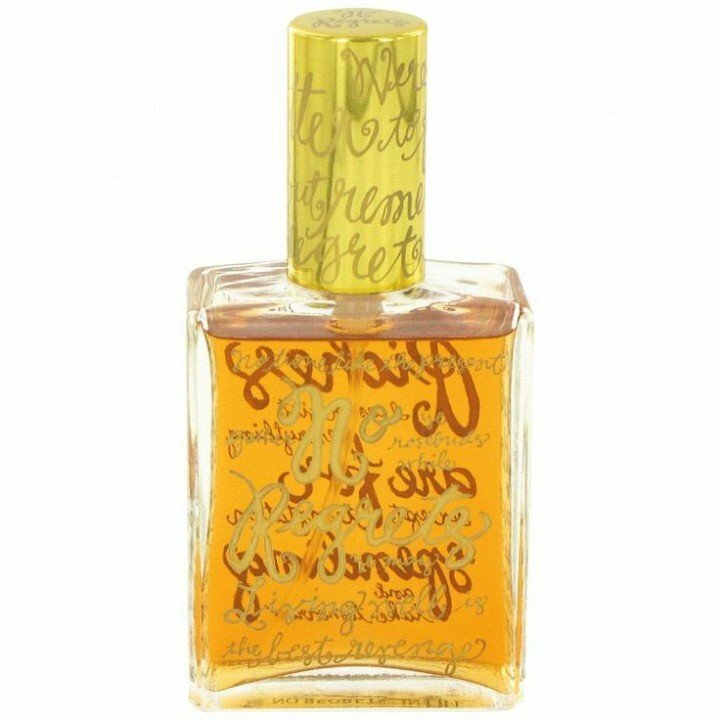 I have no idea who buys it; I've only seen it once at a perfume counter -- at NYC's past-prime Lord & Taylor. For all its fustiness, however, I actually like No Regrets and drained a bottle a while back. But then, I've been around the block a few times and regret nothing. 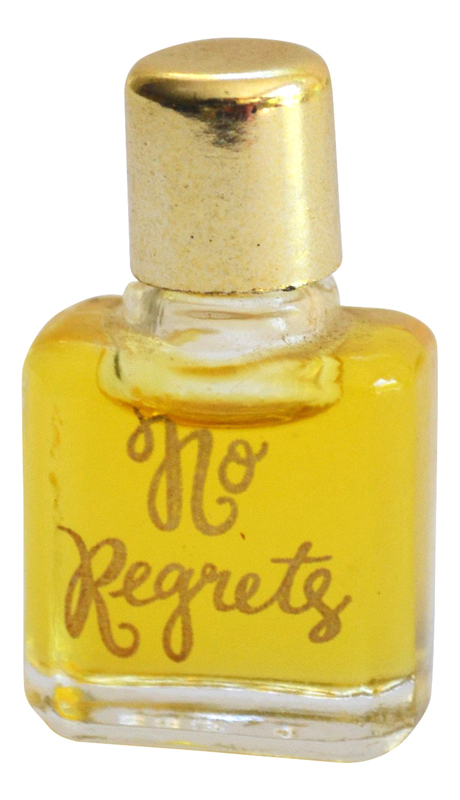 Write the first Review for No Regrets (Eau de Toilette)!